Marybeth is a leader in her field. Perhaps that’s one reason why she’s so good at recognizing leadership skills in others. 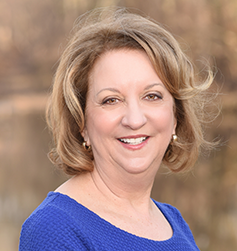 Marybeth is a firm believer that there is no challenge that is insurmountable, and it is this confidence she instills in the business leaders she helps. Throughout her career, she has designed and implemented leadership development, organizational structures, international staffing and performance management initiatives. Enhanced by a wide range of experience coaching others to build effective teams and individuals in all functional areas, Marybeth has worked directly for international consumer products manufacturing, retail and financial services, as well as family owned companies, with responsibility for domestic and worldwide organizational and staffing expansions in the United States, Europe and China. Our co-founder, friend and devoted husband to Marybeth, Harry Edward Gregg passed away in 2017. Harry touched everyone he knew in a way that made us all a better person. His indelible smile, infectious laugh, wry sense of humor, intense sense of loyalty and passion for living and loving others resonated in the hearts of those who knew him. Marybeth is committed to honoring his memory by continuing to provide the best service to her clients. We have a team of more than 15 experienced specialists in Human Resources, Organizational Resources and Talent Management to work on your projects. We match the best of who we are with your needs and goals. Each Gregg Resources professional works together with Marybeth Gregg. This has been our winning formula since our beginnings.